Cross Measures 15mm (9/16") by 19mm 3/4"). Approximate gram weight is 5.75 grams in a size 11. Weight varies by size. 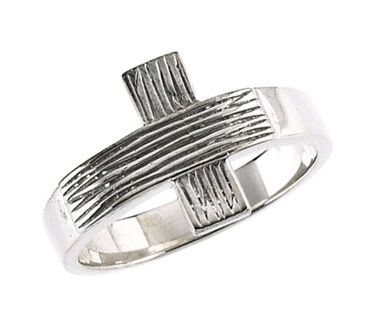 We guarantee our Men's Rustic Cross Ring in Sterling Silver to be high quality, authentic jewelry, as described above.